Sometimes refereed to as Queen-of-the-vines, clematis is a member of the Ranunculaceae (buttercup) family. It can be found in most countries in the Northern Hemisphere. Clematis grows naturally as a climbing vine / lianasand has been harvested by many cultures for it’s medicinal values. But be careful! Clematis are toxic if eaten. 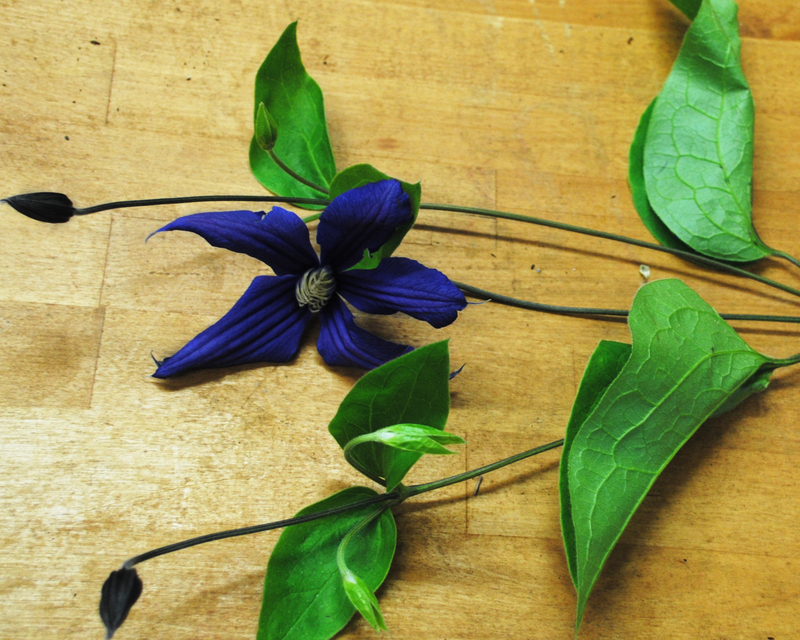 With over 250 cultivars grown around the world, the clematis flower is visually varied. All varieties feature a number of leafy petals clustered around the center of the flower. The colors range widely, but blue-purple, white and pink are especially popular. Because it’s found everywhere, Clematis is one of the first flowers early botanists and genetic researchers really took note of. As a result, it was widely used in early genetic experiments. Many of the British cultivars are the result of this early groundwork in understanding genetics. – The name Clematis comes from the Greek word “klematis,” meaning vine. 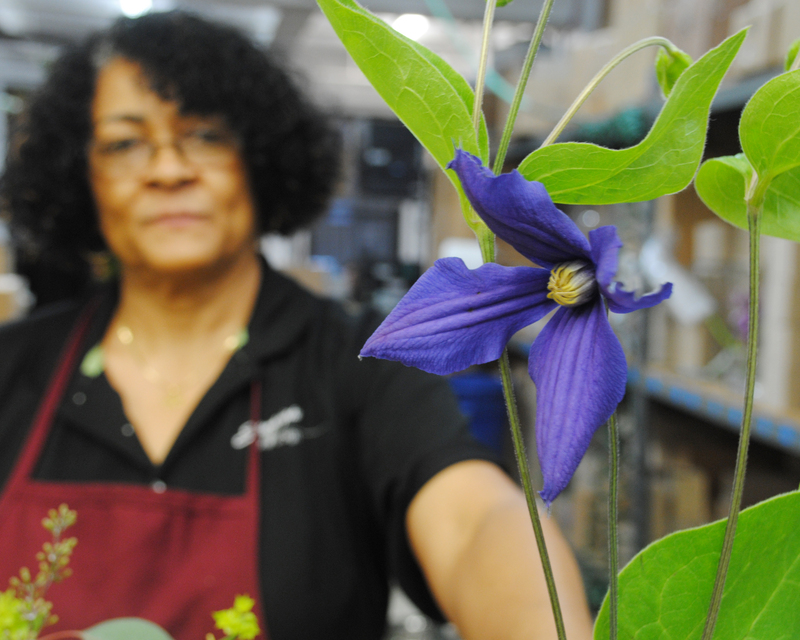 – Clematis are scented, but their scent is rarely strong enough for perfume making. – A few clematis varieties change color when between blooming. This is caused by environmental factors, like sunlight.